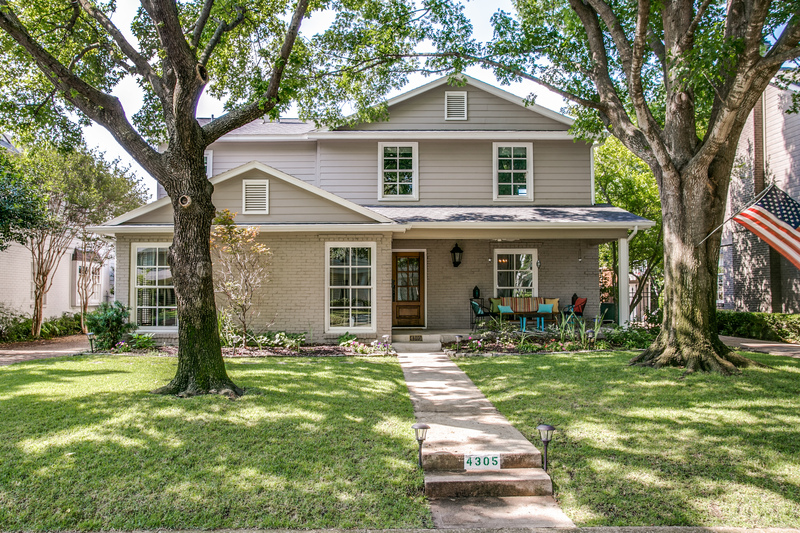 Situated in prestigious University Park conveniently near Highland Park Village and Bradfield Elementary, 4305 Shenandoah Street is a wonderful traditional residence, which has been completely remodeled and expanded from top to bottom to perfection. Details include a new roof, HVAC and JeldWen windows, spacious entertaining rooms, gleaming hardwood floors, deep molding, elegant wall coverings, and fabulous marble and granite finishes throughout. The fabulous two-story home offers approximately 2,703 square feet, four bedrooms, 3.1 baths, an inviting front foyer, oversized living room with marble-surrounded fireplace, elegant dining room with wainscoting, spacious den with built-in bookcases and storage and also opens both to the patio and side grounds, new kitchen with black antique-finished granite counters with a white marble backsplash, premier KitchenAid stainless appliances, including a gas cooktop, dual dishwashers, electric convection oven, microwave and refrigerator with freezer, adjacent breakfast room with a granite-topped breakfast bar and pantry built-ins, fully equipped utility room, spacious master suite with a gorgeous marble bath and His and Hers walk-in closets, three additional generous-sized bedrooms with large closets and two elegant marble baths, outdoor storage room converted from a connected two-car garage, new covered front porch, and a large patio overlooking the expansive backyard grounds with a storage shed completes this wonderful residence.